The Council of the Town of Georgina invites persons to volunteer in their community as a member on one of the following boards or committees. All appointments are for the 2018-22 Term of Council. Current Town board and committee members are encouraged to apply. 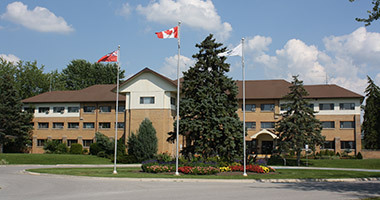 To provide information, advice and assistance to Council and staff of the Town of Georgina on farming and agricultural issues impacting the municipality. The Georgina Agricultural Advisory Committee is an agricultural advisory body that will promote the stewardship, preservation, protection and public awareness of farming and agricultural issues in the Town of Georgina. To provide information, advice and assistance to Council and staff of the Town of Georgina on environmental issues impacting the Town. The Georgina Environmental Advisory Committee is an environmental advisory body that will promote the stewardship, preservation, conservation, protection and enhancement of the natural environment in the Town of Georgina. To consult with the community and to provide information, advice and assistance to the community and Town Council relating to the Georgina Safe Streets Program. Further, to assist and provide advice to Town Council in their on-going commitment to the efficient traffic flow of its residents through safe, well-planned and engineered streets as well as the implementation of the Town’s Traffic Calming Policy. The Link Advisory Committee of Council is established for the purpose of providing advice to Council regarding business models, management strategies, funding opportunities, building design, budget, governance structure, licensee selection process, communications, marketing and phased implementation plan for operations. To discuss, review and make recommendations regarding the creation, development, preservation, management, promotion and use of trails and active transportation routes in the Town of Georgina. This initiative will encourage opportunities for active and sustainable modes of transportation for recreation and utilitarian purposes, which includes walking and cycling. This Committee will assist and provide advice to Town Council in their on-going commitment to develop an integrated, connected and continuous trail and active transportation system as well as implementation of the Town’s Trails and Active Transportation Master Plan. Terms of Reference for each of the committees and boards, along with application forms may be obtained from the Clerk’s Office between 8:30 a.m. and 4:30 p.m., Monday to Friday, or from the Town’s website at georgina.ca under ‘Forms and Applications’. The Town of Georgina is committed to inclusive, barrier-free selection processes and environments. We will accommodate the needs of applicants under the Ontario Human Rights Code and the Accessibility for Ontarians with Disabilities Act (AODA) throughout all stages of the selection process. Please advise the Human Resources Department to ensure your accessibility needs are accommodated throughout this process. Application forms are available at georgina.ca or by contacting Sandra Dipietrantonio at sdipietrantonio@georgina.ca or 905-476-4301 ext. 2248. Application forms must be submitted via mail, in person, or email on or before 4:30 p.m. Friday, Feb. 15, 2019.